The globalization of cannabis legalization is inevitable with 43 countries currently transitioning towards decriminalization. While Uruguay was the first country in the world to legalize the cultivation, sale and consumption of cannabis in 2014, Canada’s recent move towards federal legalization makes it the first G7 nation in the world to do so. The six other nations in the G7 are France, Germany, Italy, Japan, the UK and the United States, collectively representing ~60% of net global wealth. While Canada today is an exclusively medical market, a federally regulated medical program along with the absence of provincial criminal law leads to a nationally uniform environment. It merits continued attention that the positive social impact of cannabis will be shared with the world’s most powerful leaders. Comprehensive regulation within the world’s 10th largest economy will have a widespread economic, social, and psychological impact as human creativity ultimately manifests itself into future business practices. 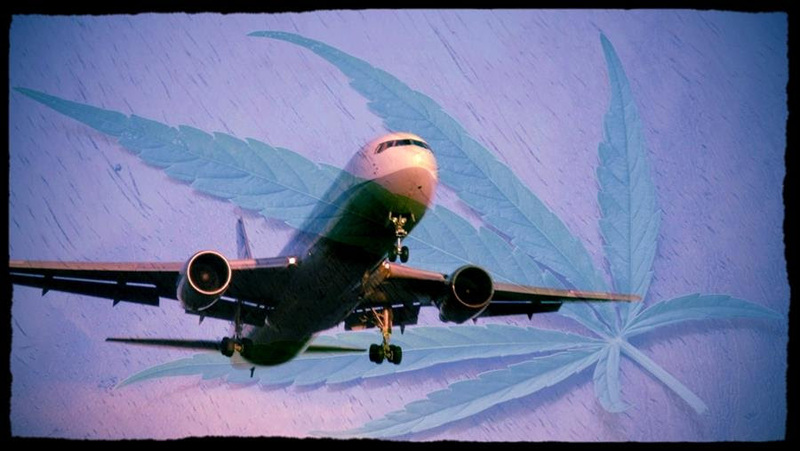 Federal legality allows Canadian patients to fly domestically with cannabis. Canadian licensed producers (“LPs”) operating under the Access to Cannabis for Medical Purposes Regulations (the “ACMPR”) are fewer in number and larger in size than their counterparts in the United States. As of June 26, 2017, a total of 50 LPs operated in Canada under retail and cultivation licenses. Each LP licensed for sale may deliver cannabis by mail across Canada. Of the 50 LPs, 27 are in Ontario and 12 are in British Columbia. The remaining 11 are distributed among Alberta, Manitoba, New Brunswick, Prince Edward Island, Québec and Saskatchewan. Only two forms of ready-to-use cannabis may be sold in Canada: Cannabis Oil and Dried Flower. Cannabis Oil: In Canada, “cannabis oil” is essentially an extract with decarboxylated phytocannabinoids in a liquid oil carrier. Cannabis oil may be formulated for ingestion or topical use. ACMPR requirements effectively exclude cannabis oil suitable for smoking or vaporizing. Cannabis oil is limited to 30 mg/ml (3% w/v) combined THC and THCA and must be liquid at room temperature. ACMPR does not limit concentrations of CBD, CBDA, other phytocannabinoids, terpenoids or phenylpropanoids in cannabis oil. The only authorized dosage form for cannabis oil is a capsule or similar dosage form for use either as a pill or a suppository, with a maximum dosage of 10 mg/unit. Butane and other organic solvents are not permitted, driving some LPs to use olive oil, grapeseed oil, or coconut oil. No additives may be included in cannabis oil other than those necessary “to maintain the product’s quality and stability”. Dried Flower: The ACMPR prohibits sale of flower that is pre-rolled or in any other dosage form. Most LPs sell intact flower, while some also offer milled flower. Single strains with 1:1 THC:CBD ratios are commonly available. On April 13, 2017, the Government of Canada introduced Bill C-45 “An Act Respecting cannabis and to amend the Controlled Drugs and Substances Act, the Criminal Code and other Acts”, provides for three key changes – Non-medical Adult Use, Store-Front Sale and Product Diversification. Non-medical Adult Use: Bill C-45 will de-schedule cannabis from the CDSA and create a regulated adult use market for cannabis. Criminal penalties will remain for sale to minors and illicit distribution. Store-Front Sale: Bill C-45 allows provinces to regulate storefront sale of cannabis. Currently, all cannabis dispensaries in Canada contravene the CDSA. Notwithstanding contravention of the CDSA and potential criminal penalties, some municipalities have issued business licenses to cannabis dispensaries. These business licenses combined with inconsistent enforcement of the CDSA has resulted in great confusion over the current state of the law. Product Diversification: While Bill C-45 does not regulate any cannabis products for sale beyond those currently available under the ACMPR, the draft Cannabis Act includes a schedule of saleable products that may be expanded to include additional products. There is a general expectation that infused foods, infused beverages and concentrates will be the next products to be regulated. Reasonable investment due-diligence includes legal and regulatory compliance checks, while a minimal due-diligence process would include a review of all current legal and financial obligations. Key document reviews, industry discipline analysis, service provider verifications and anti-money laundering assessments are other components of single-company investment focus. Investors are also well served to navigate through portfolio allocation, sector determination and a diversification/hedging strategy prior to considering a single company investment. International investments usually require an additional layer of scrutiny, and while it is by no means comprehensive we are pleased with the forward-thinking regulation proposed by the Canadian government. This serves as a framework for other governments around the world and as the legal and political foundation of a global movement away from plant prohibition. We look forward to a society built on compassion, collaboration and consciousness; cornerstone lessons taught by this ancient and sacred plant. Thank you, David Wood, for your contributions from Calgary.